Mt. 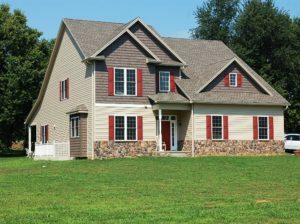 Tabor Builds Custom Home in Boonsboro for Client Who Couldn’t Find the Perfect Place Until She Worked with The Professional Builders from Clear Spring, MD. When Linda Berenstine was ready to move, she knew what she wanted. 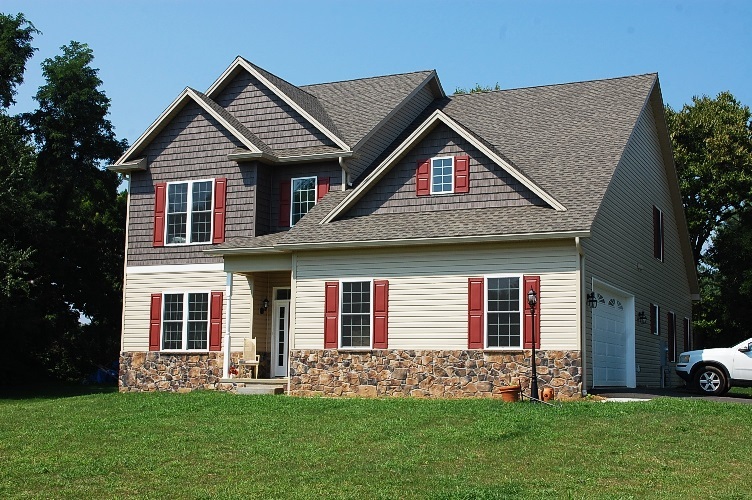 She wanted to purchase an existing home and wanted it near her two sisters in Boonsboro, MD. That didn’t quite work out for Linda. Places she liked weren’t close to the ladies. Places that were close to her siblings, weren’t what she was wanted. However, there was vacant lot for sale just a stone’s throw away from where both sisters reside on Sharpsburg Pike. “I had never built a home before and I’m not someone who likes making decisions,” said Linda. Her first thought was to buy the land and put a modular home on it. But her son — an engineer — told her she likely wouldn’t be happy with the quality. Her nephew — a carpenter — agreed. He also steered her away from a “tract-builder” home in a large subdivision, when she first resisted the idea of building. Her nephew also also steered her toward Mt. Tabor Builders, a company he was familiar with from previous experience. “I was very impressed with Willie and Royce (Eby, of Mt. Tabor). The more I talked with them, the more I knew I wanted them to build my house,” she added. After talking several times, they decided on a craftsman-style home, which was consistent with the homes, for which Linda had been searching. However, want she ended up with was a home that looks great and has some desired features not found in existing homes in the area. These include a first-floor master suite; an energy-efficient house and heating and cooling system, and a covered patio, which was built with the idea in a way of easily turning it into a sun room at a later date. Linda said the process was a good one, because Willie (owner) and Royce (designer) gently guided her through all the decisions that come with a building project. She said each conversation was so enjoyable, that the one-hour meetings often turned into several hours. If you would like to talk to the professional builders at Mt. 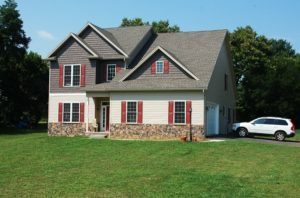 Tabor about building a new home, call their Clear Spring, MD office at 301-766-7161 or click here to send a message through this website.